You will need to subscribe to Ausmed Education to have access to ALL of our extensive, quality online content. Have you considered that our feelings and behaviours in the workplace are happening on a biological level? How, then, can a manager attempt to affect change? Jane Stanfield explains how adjusting your focus can have a flow-on effect and begin to rewire the neuroplasticity of your team with some tools you can easily adopt in your practice. Jane Stanfield is a health service improvement coach. She comes with 30 years’ experience in healthcare, half as a clinician and half in health administration, support and coaching. Having had a brush with burnout herself and several close family members receiving healthcare, her focus is on bringing compassion back to healthcare for all involved. 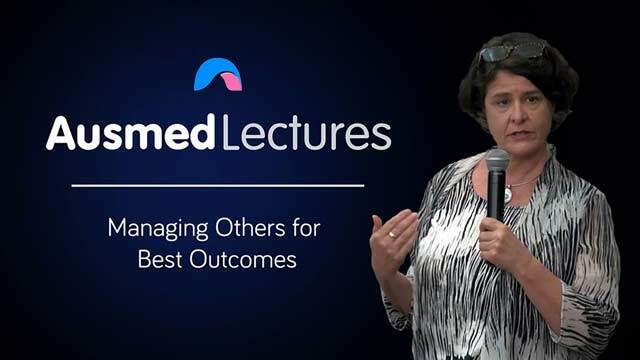 Her current use of neuroscience and mindfulness at work enables healthcare providers to work with their own mind, emotions and behaviour to influence their culture in a way that will energise and motivate them as they manage the safety and reliability of their care and its focus on the patient—whilst caring for themselves. Jane is currently coaching several nurse leaders; and runs workshops on leadership, shaping cultures, wellbeing, and communication and patient safety (CAPS). Her most recent professional development personally is in LEAN thinking – reducing waste and improving flow in healthcare….because waste is disrespectful to people!